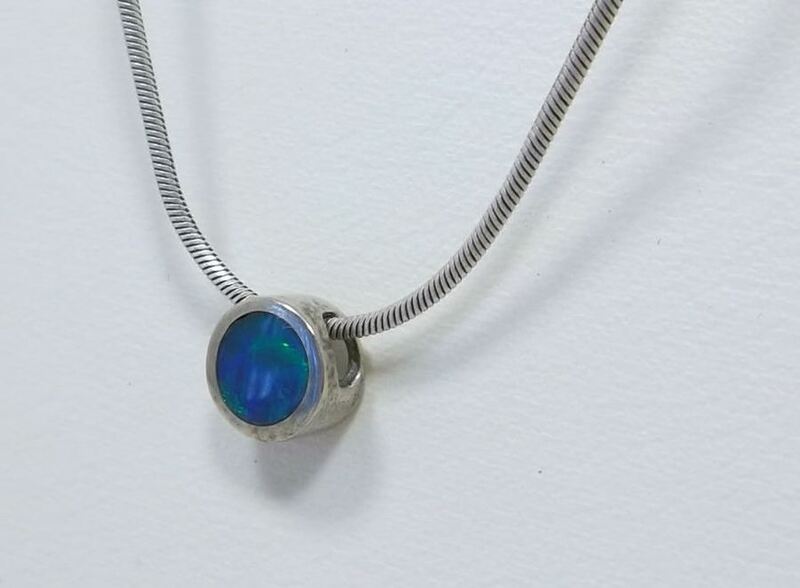 A beautiful blue/green solid opal stone set in a Sterling Silver slider pendant. The slider pendant is suspended from a Sterling Silver snake chain. 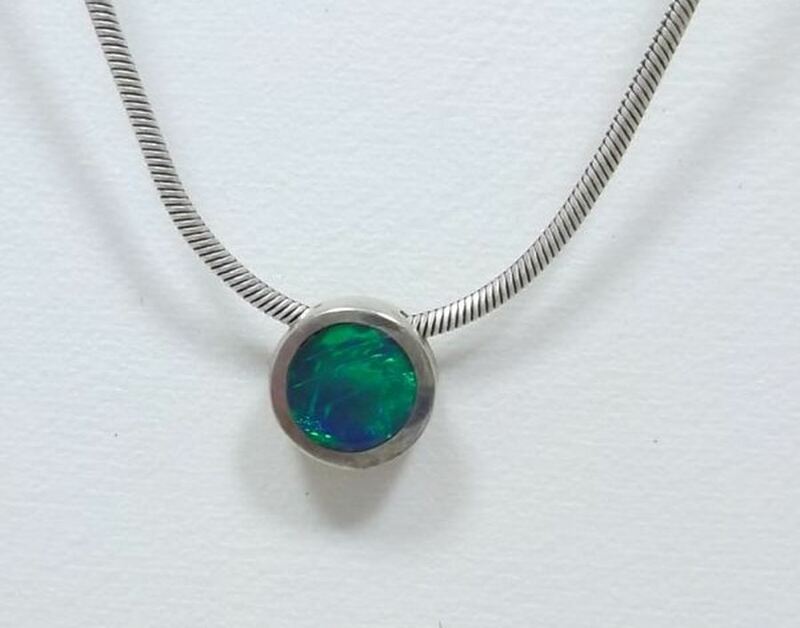 The pendant is 7 mm in diameter and the chain 400 mm long.